We believe that a death does not need to cost the Earth. Current conventional funeral practices are, in our opinion, leaving a far higher environmental impact than is necessary. Many people think it will cost more to have an eco-funeral but in fact the opposite is true. Let’s look at some of the simple ways that we can make a funeral a lot kinder on the planet. There are many ways to ensure that the funeral is as environmentally friendly and sustainable as possible, and this is so important to us at State of Grace. Simple things such as the coffin mattresses we use which are made from recycled wool and calico, to the plastic used which is a soft cornstarch plastic and fully biodegradable. Embalming – currently in New Zealand approximately 90% of people are embalmed after death, while at State of Grace we reverse that trend and embalm approximately 10% of our clients. We only embalm if the deceased body has undergone a post mortem or has any other factor which is likely to cause an unpleasant experience for family and friends. We always discuss this option with family before any decisions are made. Our alternatives to embalming are to either keep the deceased person in our walk-in coolroom until the day of the funeral (family are welcome to come and spend time with them in our lounge), or to leave the person in their own home with a nifty and simple method of using icepacks to keep the body cool. Casket: The choice ranges from a simple shroud, placed inside any of our caskets and removed for cremation, to cardboard caskets (which can be used in the same way), right through to the beautiful hand-woven willow casket.
. We have a small range of simple, conventional caskets which can be used with a liner coffin, thereby saving both money and resources. There are many options in between. We prefer not to use the more expensive conventional caskets, some of which can cost up to $5000. 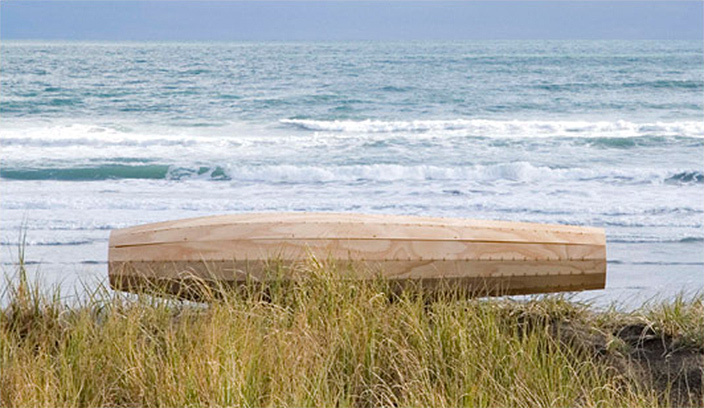 Our range of coffins are all sustainably produced from renewable resources, and have a low environmental impact. Flowers: We use a local florist (fairyflowers.co.nz) for most of our families and also have a supplier of organic floral bouquets if you prefer. Many families put their own floral arrangement together using flowers and native foliage from their own gardens, and some have also invited guests to bring a posy to the funeral. Transport: Our funeral cars are regularly serviced. We are members of Greenfleet, which plants trees to offset any carbon emissions. If you are using your own transport, we recommend using a similar vehicle. The East Auckland branch have an electric vehicle for their day to day activity. These are just a few of the ways in which we can lower the environmental impact of each funeral. We finally have an eco burial area in Auckland – at Waikumete Cemetery. Please contact us for further information.